"Kim, do you already have Apple iPhone 7 and 7 Plus units there?" I asked my friend Kim Lato of Kimstore the other day. She quickly replied "Yes, Mark. Come on over! You can do your unboxing here. Anna will assist you." Giddy, I immediately drove to Kimstore's Headquarters located just a couple of kilometers away from our house. 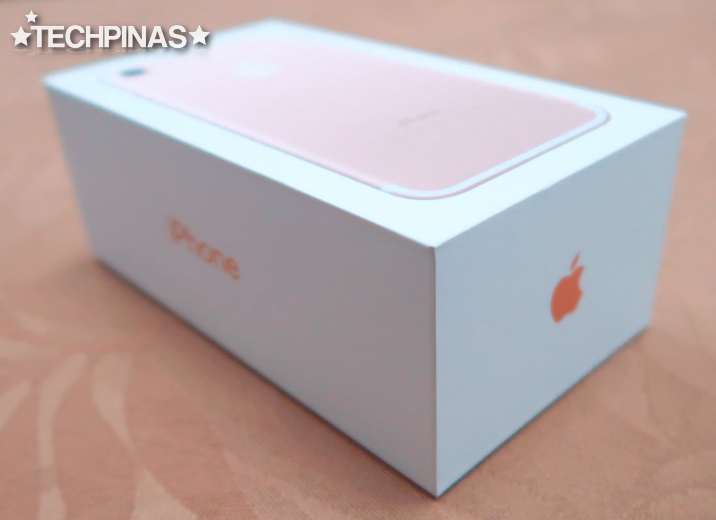 And I finally got my hands on the iPhone 7! This is how the packaging looks, TP Friends. It has an outer plastic case that's kept together by sticker lines, which means that you can just pull those out to release the box inside. Kindly watch the video below to see how that works. 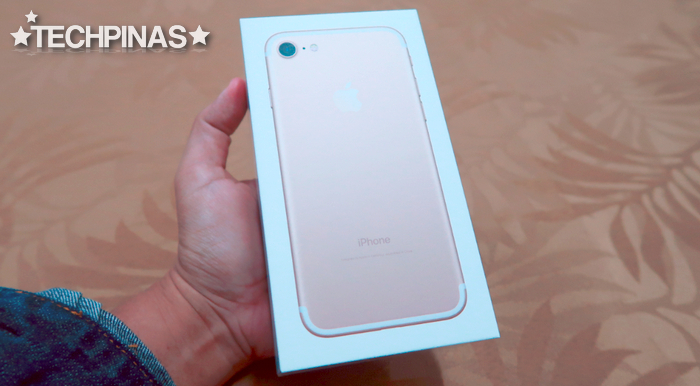 The box looks largely identical to that of the iPhone 6s. 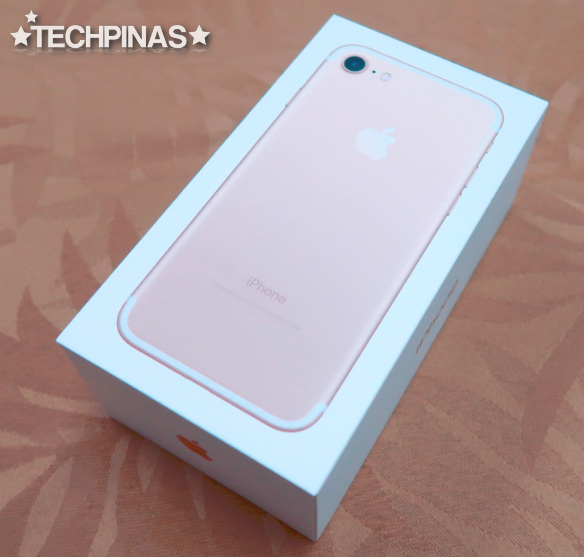 However, whereas the face of last year's iPhone was printed and embossed on top of the box, this 2016 the image of the iPhone 7's back is seen on the cover. 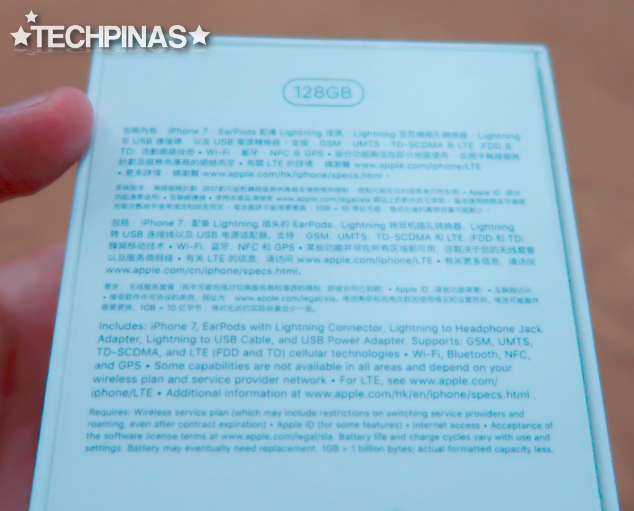 I have the 128GB Gold variant. 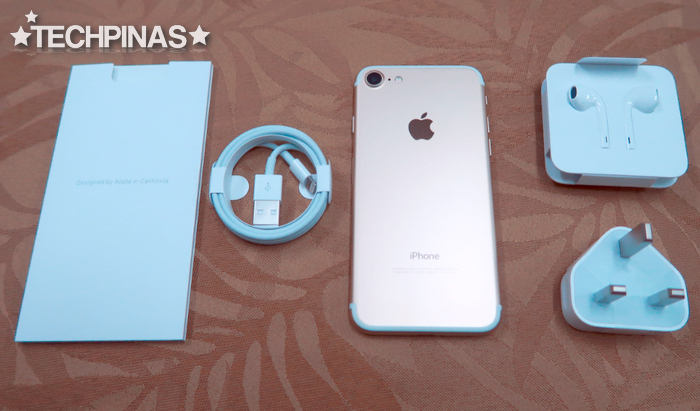 Check out the complete retail package, including the unit itself, the standard travel charger, Apple Earpods, USB to Lightning Cable, and the sleeve containing documentation. 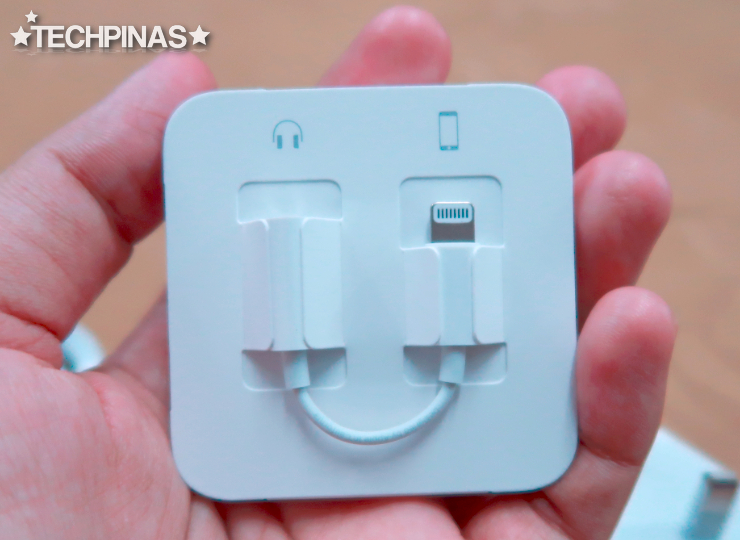 Because the iPhone 7 lacks a 3.5mm audio jack, the included Earpods comes with this free Lightning port adapter for the audio jack. 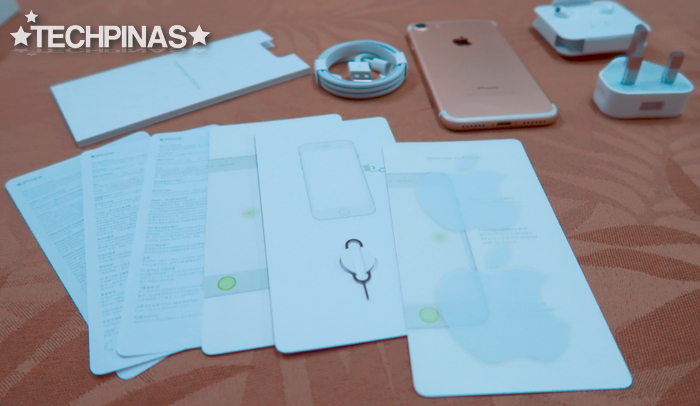 The carton sleeve contains the user guide, product information, the pin for ejecting the nanoSIM card tray, and - of course - the Apple stickers! 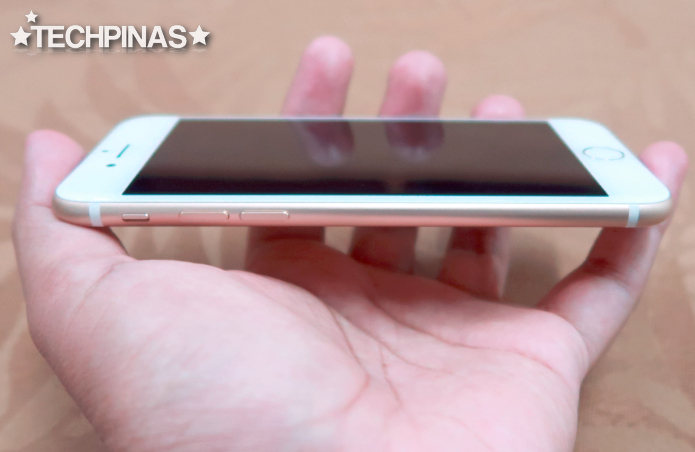 Its face looks almost the same as that of iPhone 6 and 6s. 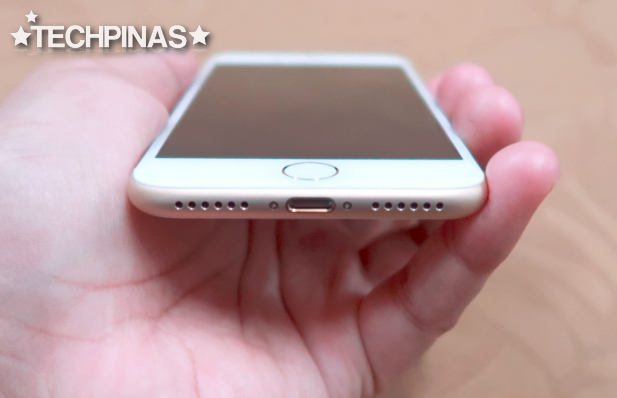 The main difference, in terms of the build, is that the home button is no longer clickable. 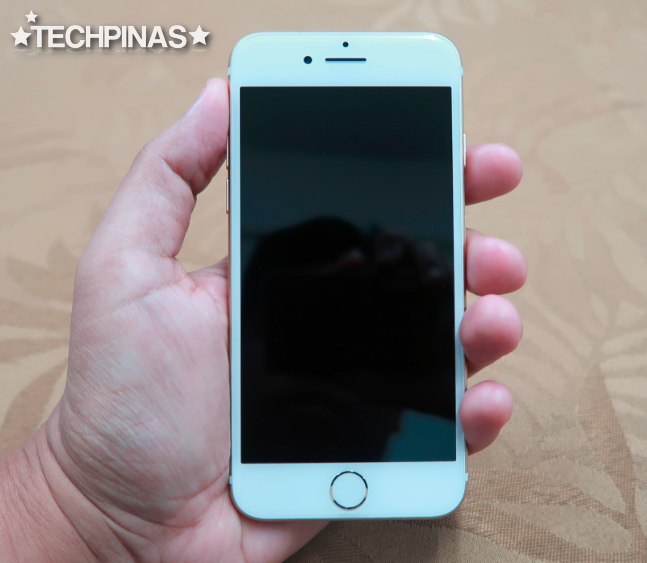 The Apple iPhone 7 sports a 4.7-inch Retina Display and a 7 MegaPixel FaceTime HD camera in front that can also record Full HD videos. On the right panel, we have the power button and the tray for the SIM card. On the left, we'll find the Silent Switch and the volume up and down buttons. The loud speaker, microphone, and lightning port are located at the rear. No more 3.5mm audio jack. Nothing on top. It's completely smooth. 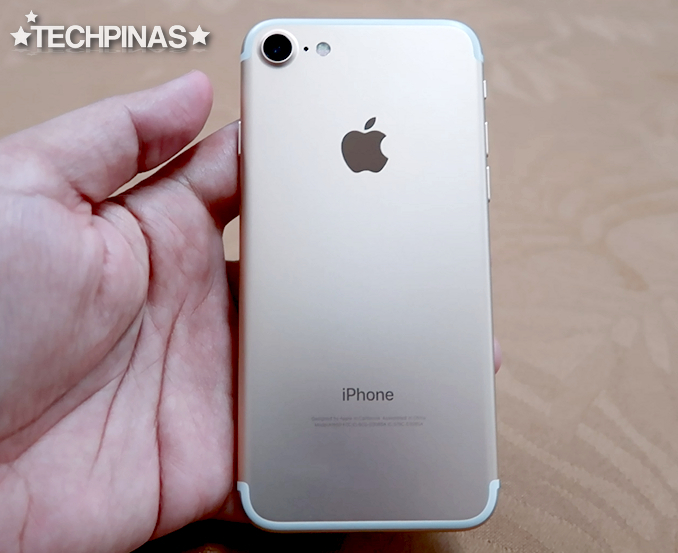 In terms of looks, the biggest difference between the iPhone 7 versus the iPhone 6s is that the newer model no longer has antenna lines at the back near the rear and the top, giving it a 'cleaner' look. Also, the 2016 model has a larger camera module compared to its predecessor. 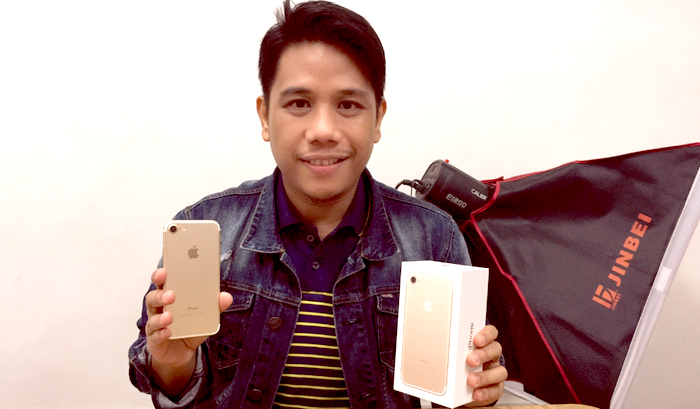 Watch my exclusive unboxing of the Apple iPhone 7 128GB Gold Variant! 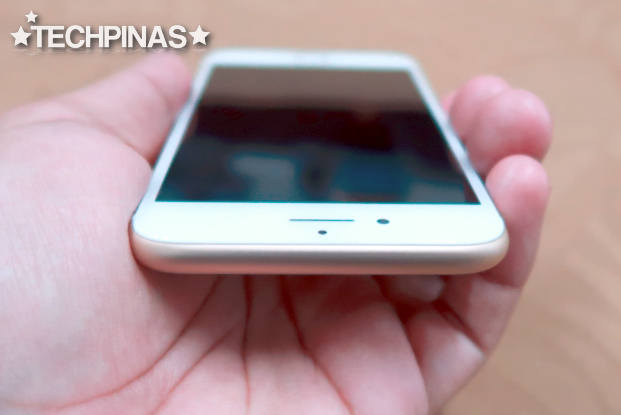 Apple iPhone 7 is now up for purchase at Kimstore 'Your Trusted Online Store'. 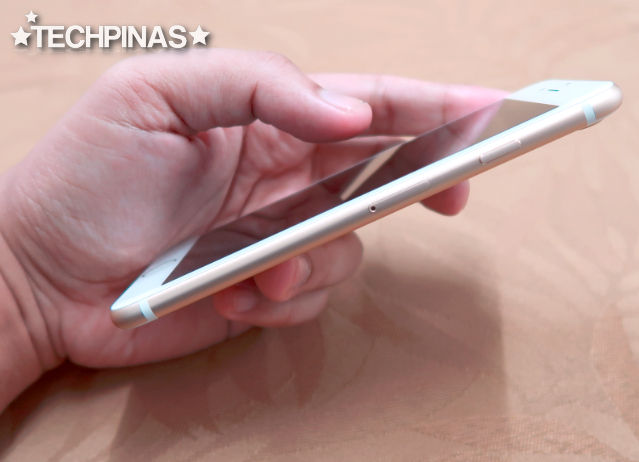 Prices start at Php 38,500 for the 32GB version of the Cupertino company's 2016 flagship handset.